GREEN ministers John Gormley and Eamon Ryan held 'secret' meetings with representatives of a US company seeking to build another incinerator in Dublin. The Energy Answers company's proposed €200m facility off the N7 motorway in Rathcoole, Co Dublin, would compete with the planned Poolbeg incinerator in Mr Gormley's own constituency. Locals expressed fears that Mr Gormley would prefer to have the Rathcoole facility running so the Poolbeg incinerator would not be needed. Fine Gael Senator Frances Fitzgerald questioned yesterday why Mr Gormley and Mr Ryan were meeting "secretly" with people who were "in favour of incineration". "The Green policy seems to have changed entirely on the matter -- not that long ago the then Deputy John Gormley was staunchly opposing an incinerator in his own constituency," she said. However, a spokesman for Mr Gormley said the meeting was purely for the purposes of learning about the project. "The department does not give any sort of blessing to any specific development because the department and the minister is absolutely precluded from involvement in the planning process," he added. Mr Gormley was strongly opposed to incineration and committed to making recycling the "cornerstone" of waste policy, he said. Details of the meetings came to light in response to a parliamentary question by Ms Fitzgerald and Green Party TD Paul Gogarty, who attended protest meetings against the proposed Rathcoole incinerator in their Dublin Mid-West constituency. Mr Gormley met Anne Butler, an environmental consultant hired by Energy Answers (An alias for Covanta-Poolbeg? -Blog Text Insert-), last July. Previously, she was director of the Environmental Protection Agency for 10 years and president of the Institute of Engineers for one year. Mr Ryan met the company in January but said this was essentially a "listening exercise". Energy Answers was able to bypass traditional planning procedures after An Bord Pleanala ruled, last December, that its project was a strategic infrastructural development. It is awaiting a Bord Pleanala hearing as opposition grows in Rathcoole. Rathcoole Community Council spokesman Sean Reid said 400 people had attended a meeting last month in protest at the incinerator plans. 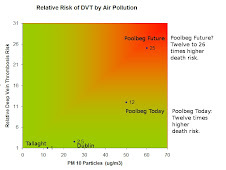 His group previously warned that Mr Gormley might want the Rathcoole incinerator built before the Poolbeg incinerator. "People can't help wondering and possibly there would be an element of people putting two and two together. But the indications were given by representatives of his party that Mr Gormley is not (in favour of the incinerator)," he said. Mr Reid said his group had evidence from US experts that it was possible to recycle up to 80pc of waste -- and landfill the rest -- rather than rely on incineration. "We don't feel that incineration is the best method of disposing of waste," he said. Energy Answers has said the facility, described as a 'Resource Recovery Project', would operate to the highest environmental standards, with all waste operations occurring indoors. (Except when they don't. Covanta has a recent record of unlawfully exceeding Dioxin limits at all its incinerators in the highly polluted state of New Jersey. When known as Ogden, Covanta was cited by the US legal system for 6,000 violations in just two years. -Blog Text Insert-). A spokeswoman confirmed Ms Butler met Mr Gormley on behalf of the company but said this had been purely to inform him about the project. The company has secured an undertaking from the Department of Defence that it will not object to the incinerator, which would be sited less than five kilometres from the Air Corps' Baldonnell Aerodrome. For a paper owned by Billionaires it seems the Irish Independent actually does inform the people. Surprisingly, for a paper owned by a "trust" it seems the Irish Times has slipped back to its past imperial role where it did not necessarily work on behalf of the peasant people. First off, I'm sure you'll agree it is childish of the Irish Independent to refer to Minister John Gormley as the "Gruene Fuhrer". Secondly, the meetings were not secret. They were reported in the media and read into the Dail record by John Gormley. Thirdly, just because a minister meets with a group does not mean he endorses the position of that group. Fourthly, the Green Party has been consistently opposed to incineration all over Ireland. 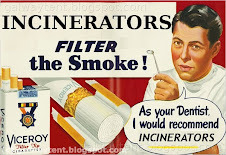 FF, FG and Labour are NIMBYs who support incineration but not in their backyard. Thanks for your comments - agree with #1, #3 & #4. The text in the early but published draft for #1 has been corrected to English from the silly but direct German translation. The Indo said the meeting was 'secret'. It does not seem to appear elsewhere in the media -based on google searches (but google misses sometimes). Feel free to post any other media reports. If John Gormley can report from Bali why did he not just drop a few words about the meeting in his blog? That's the perfect vehicle. Especially when Covanta/Energy Answers is apparently operating under at least two offshore corporate aliases, for whatever reason. And most especially when Covanta's paid-representative is the former 10-Year-Founding-Director of EPA-Ireland, an apparent conflict which should appear in big red lights. In addition, this paid-consultant's name seems to appear in documents from DDDA, DCC and others promoting the Waste-To-Toxics incineration industry with no mention of the consultant's important role of policing the environment on behalf of the public. For many people, this revolving-door situation totally undermines the credibility of EPA-Ireland.